Get your Mexican wave on! Robert’s new series has all the fight of CHERUB , plus all the fury and passion. Only this time, it’s a musical war. (The best kind.) Meet three kids with big dreams and everything to play for. Jay plays guitar, writes songs and dreams of rock stardom. Summer works hard at school, looks after her nan and has a one-in-a-million singing voice. Dylan is happiest lying on his bunk smoking. Still, he’d rather play in a band than on the rugby team. 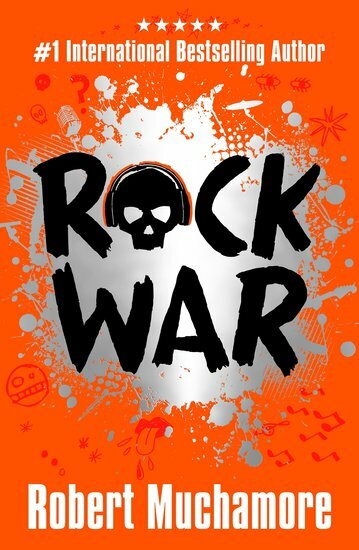 Now they’re fighting a war: a rock war. It’ll be the toughest battle of their lives… Forget X Factor. Turn off Britain’s Got Talent. All our eyes are on these wannabe stars.